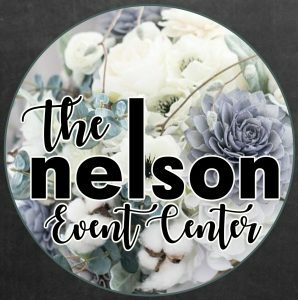 The Nelson Event Center – You'll love how your event turns out! You'll love how your event turns out! Introducing The Nelson Event Center! The Nelson is a beautifully renovated mid-century modern space, with a capacity of 125. We are doing some really great things with our all new state of the art kitchen. We can serve up anything from chicken wings to prime rib dinners… let us wow you with our all new expanded menu & catering menu! Affordable options to fit any budget! Let us help you to host an unforgettable event! The Nelson has a capacity of 125. You have a choice of round tables, high top tables or low tables. Black linens are included with the room rental. The room is just $250 for the first 3 hours and $75 each additional hour. It has it’s own private entrance, private facilities, a full bar and many delicious catering options to fit any budget! With our all new state of the art kitchen we can serve anything from chicken wings to prime rib dinner. This space is great for banquets, corporate events, team building, milestone birthdays, baby showers, bridal shower, sweet 16 parties, quinceaneras, bar/bat mitzvahs, engagement parties, rehearsal dinners and more! Call 944-0500 x1007 for more info!